Whether a car accident, slip and fall, dog bite or work-related injury, you have the right to be represented by the best personal injury attorneys available. Gottlieb, Johnston, Beam, and Dal Ponte, P.L.L. are lawyers in Zanesville, Ohio, ready to help you receive the compensation you deserve for your injuries. Here is helpful information about personal injury lawsuits and how you can afford to hire an experienced attorney. What is the first thing I should do after an accident? Obviously, your safety is the priority. If you are injured, seek medical attention right away. If possible, however, take pictures of your injuries and the accident scene and get the contact information of any witnesses. As soon as you can, write down everything that happened and, of course, contact an attorney. The amount of a personal injury settlement depends on several factors including the extent of your injuries, the amount of your medical bills and other expenses paid because of your injuries, your lost wages, the estimated amount of time it will take for you to recover, and if you have permanent injuries that cannot be repaired, like the loss of a limb. What are the benefits of hiring an experienced trial lawyer for my personal injury case? We understand the law, legal details and courtroom proceedings. We know the statute of limitations and will file your case in a timely manner. We’ve tried cases and have had successful outcomes. We can utilize our extensive knowledge of settlements to get you the best outcome possible. We have access to additional support from our colleagues at any time. Many people today live paycheck to paycheck and wonder if they can afford an attorney to represent them in a lawsuit, especially if they’ve been injured and are unable to work. There are no public defenders for personal injury cases, only criminal cases, that’s why contingency fee agreements are so important. The contingency fee was developed to ensure that everyone has equal access to quality legal representation, no matter how much money they have. With this agreement, no money is required to be paid upfront to retain an attorney. The attorney’s fee is “contingent” on winning the case. When is a contingency fee paid? At the end of the case, when the plaintiff has been compensated, the plaintiff and the attorney divide the money based on the pre-agreed percentages. How much is a contingency fee? Attorney rates are usually pre-set; however, they may be negotiable upfront. Do I still have to pay a contingency fee if I lose my case? No. If the attorney was not able to win your lawsuit there is no money to be divided. You may, however, need to pay for other related case costs. What is the difference between contingency fees and other case costs? 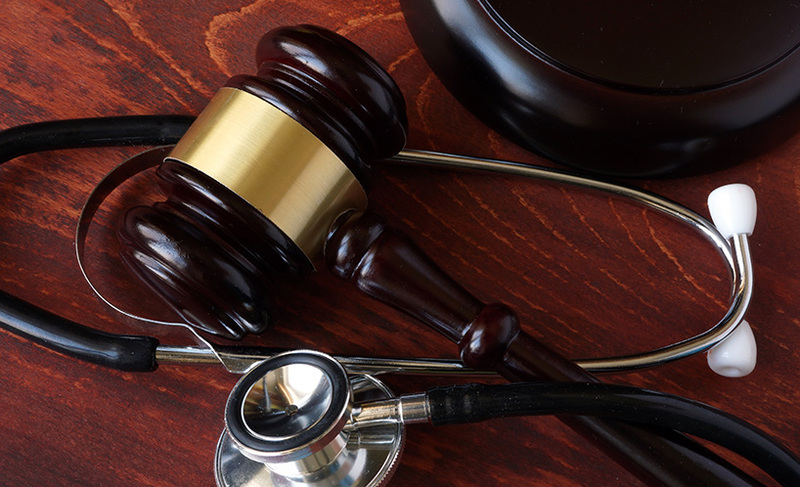 There are expenses which are oftentimes necessary to simply pursue your case, including experts’ fees, deposition, arbitration or mediation fees, filing fees, costs to obtain police or medical reports, and your medical bills. These expenses are most often covered by your attorney during your case and collected at the end of the case from any money obtained for you. What can I be compensated for in a personal injury claim? If you win a personal injury lawsuit you are entitled to be compensated for your medical bills, pain and suffering, lost wages, physical disability, emotional damages, and other expenses you had to pay because of your injury. In addition to compensating a victim for his or her injuries, the court can also make the defendant pay punitive damages as a form of punishment. Punitive damages are most often awarded in personal injury cases when the defendant’s negligence was severe or extreme. If you or a loved one has been injured in an accident and you need a personal injury attorney in the Zanesville, Ohio, area, contact Gottlieb, Johnston, Beam, and Dal Ponte, P.L.L. We can answer all your questions, tell you if you have a case worth pursuing legal action, fight for your rights and compensation once hired, and accept payment on a contingency fee basis. Designed by BLUE LASER DIGITAL © 2019 Gottlieb, Johnston, Beam & Dal Ponte, PLL. All Rights Reserved.